Special rules and laws apply when one or two spouses in the military are involved in a divorce proceeding. 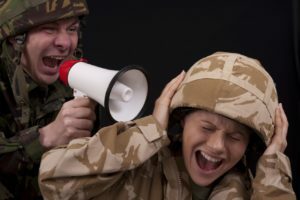 Below, we’ve outline five all-too-common myths about military divorces to give you a more accurate and complete understanding of what you can expect in a military divorce. Myth #1. All spouses are entitled to half of their partner’s military pension. Myth #2. The Survivor Benefit Plan (SBP) does not need to be addressed in the divorce proceedings. Reality: SBP coverage allows non-military spouses who survive the retiree to obtain 55% of the selected base amount of the military pension for the rest of his or her life. This is a potentially valuable asset and it is critically important to address whether the non-military spouse will be named the beneficiary of the SBP and how it will be paid for. Myth #3. SBP deadlines aren’t important. Reality: Non-military spouses who receive a court order for SBP coverage must send the order to the Defense Finance and Accounting Service (DFAS) before one year from the date of the order. Failure to do so could leave the former spouse without any financial support during retirement. Myth #4. Service members don’t need lawyers experienced with military divorce. Reality: JAG officers can be very helpful in many regards, but they are not specialists in divorce and parental responsibility matters. Myth #5. Spouses are not entitled to any share of a military pension if the marriage lasted less than 10 years. Reality: There is no required minimum number of years for the divisibility of a military pension. The “10-10” rule deals with how payments are made, since the DFAS handles all payments for a 10-10 overlap of marriage and military service. However, without this overlap, the payments will come directly from the retiree. Did any of these myths surprise you? Our experienced legal team at Gasper Law Group has the courtroom and negotiating skills you need to obtain a fair outcome during your military divorce. Please call us today to arrange a confidential consultation: 719.227.7779.